Roland Jehl has been a personal fitness trainer for 34 years. During these years, he has been active in all areas of professional fitness which has given him a wealth of experience and knowledge. If you're looking for a fitness trainer, please take the time to view the testimonial movie and hear what others have to say about their experiences with Roland. If you have questions regarding Roland's services, please don't hesitate to call or send an email. Thank you for taking the time to visit RolandJehl.net. From fitness celebrities to soccer moms, this video demonstrates the impact that Roland Jehl has had on the fitness industry and can have on the lives of those he works with. 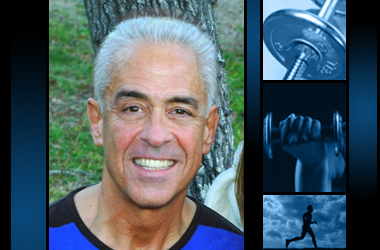 Check out Roland's blogs and articles on how you can shape a healthier YOU! Roland's Reference list reads like a who's who of Dallas, Texas. Check out the people Roland has helped to shape up for a healthier lifestlye.